Versatility is key. Dyrberg kern have created the perfect versatile piece to carry you from morning to night. 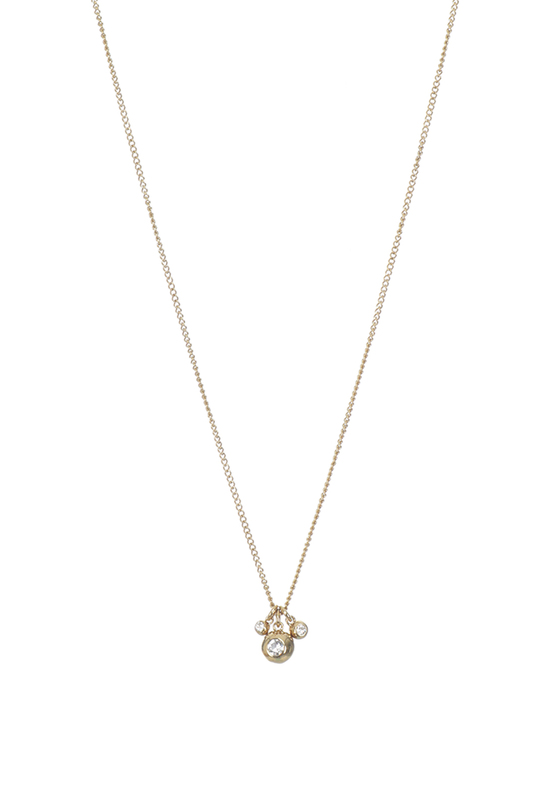 The gold necklace supports 3 sphere pendants that are a range of sizes, each encrusted with a white crystal to add some sparkle. Lead and nickel free and matching items available.